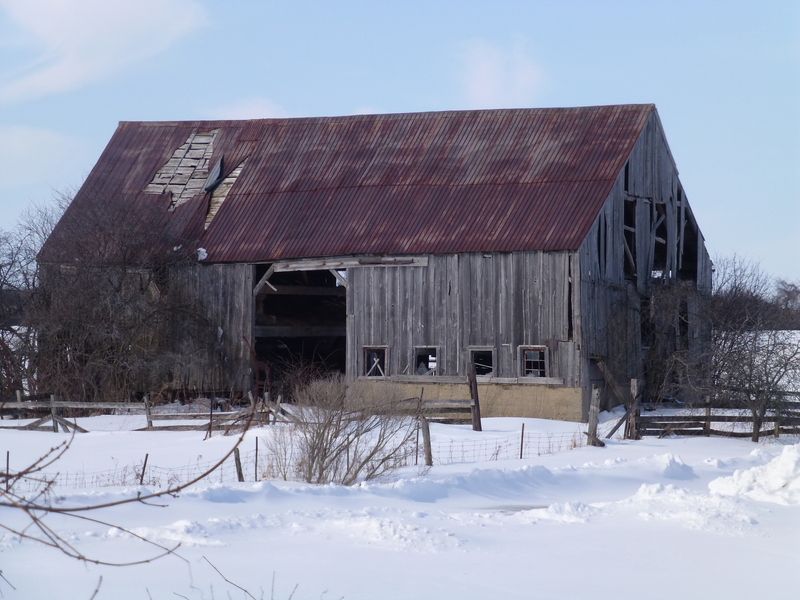 The old Ontario barns could tell tall tales. They’ve fought their weather battles and bear the scars but I fear for them now, abandoned and unloved. There’s still strength there but the snow intensifies their disrepair and vulnerability. And makes them even more beautiful. 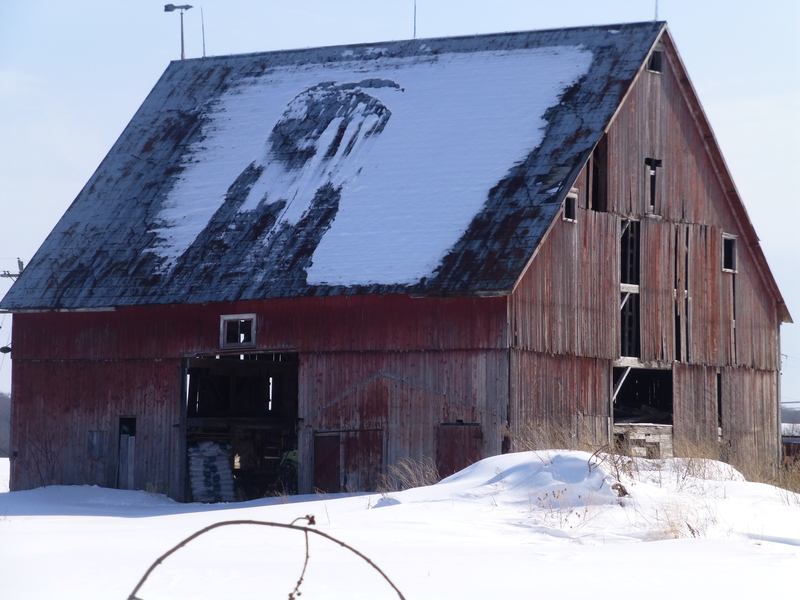 Old barns are a favorite subject of mine as well. You’ve posted a very nice collection here! Thanks Denise. Cracks and repairs and vulnerability are very powerful in a building that was designed to be strong and able to weather the ages. Beautiful new wood turned into useful structures; beautiful old woods turned into art. Your barn photos are simply lovely! 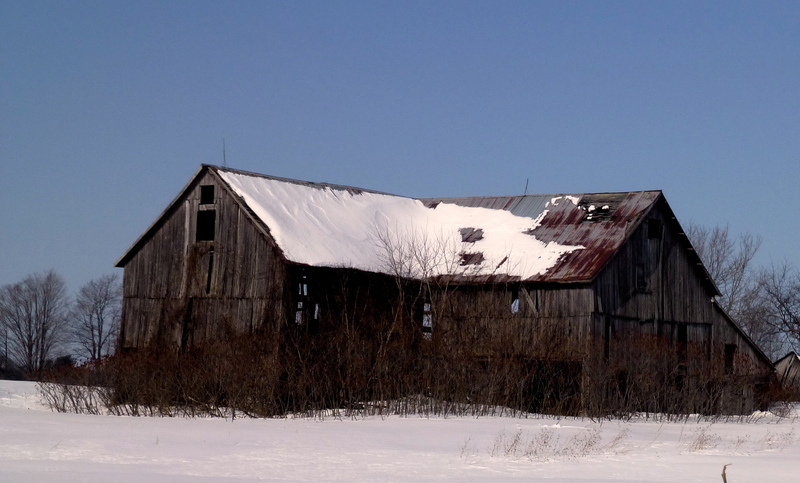 I adore old barns! Thank you Sheila. We need to look after them better. You’re so right. Every winter erodes the structures a little bit more. But what stories they could tell. I’m surprised they’re not listed buildings or protected in any way. 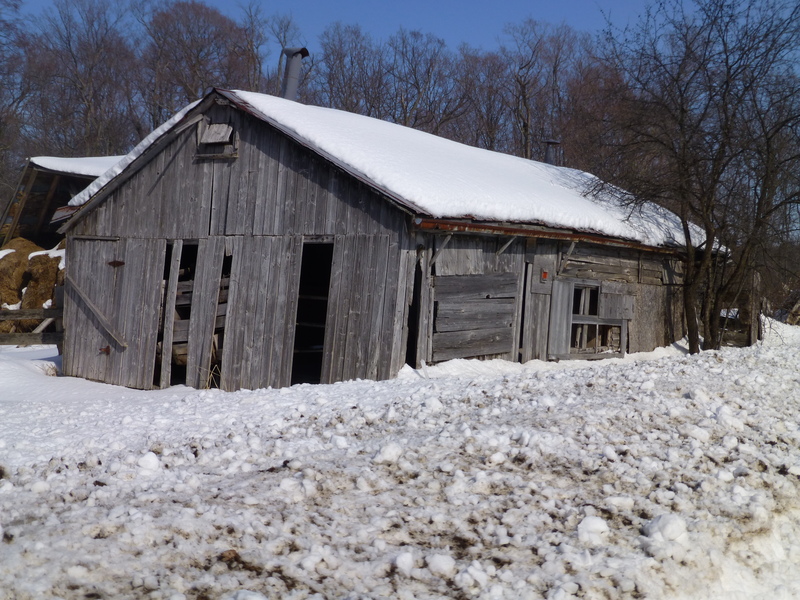 But maybe I shouldn’t be; the same is happening here with old farm buildings that are no longer “fit for purpose”. What a shame. 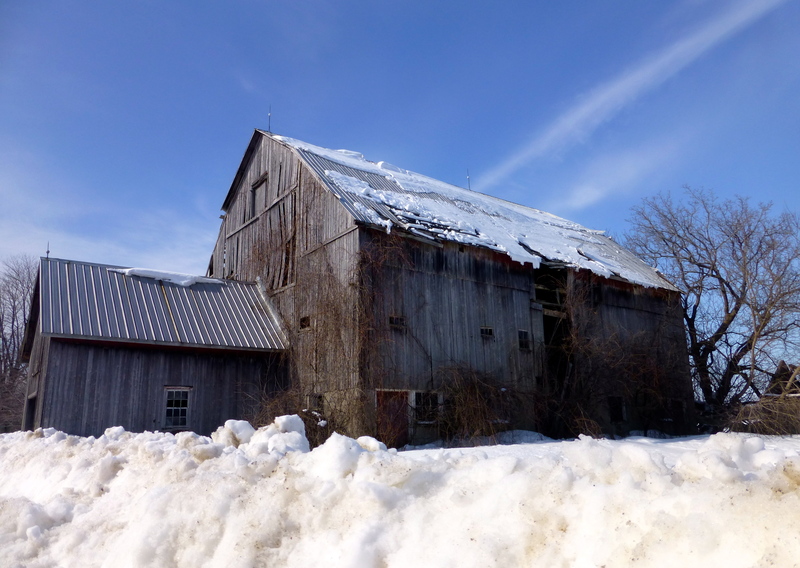 So sad to think that we will soon have a generation of kids who have never seen a real barn. Who have never played with kittens in the hay loft, or inhaled the pungent scent of old leather, older wood, hay, dust, and absent animals. Thank you for documenting these beauties. I had a lot of fun being driven around slowly by my very patient friend, hanging out of the window, creating a road hazard and finding the barns got better and better the more we looked. And yes, you’re right, modern buildings just don’t have the same romance for those of us who’ve had the sorts of experiences you describe. If you'd like to follow my blog please enter your email address here to receive notifications of new posts. Thanks.